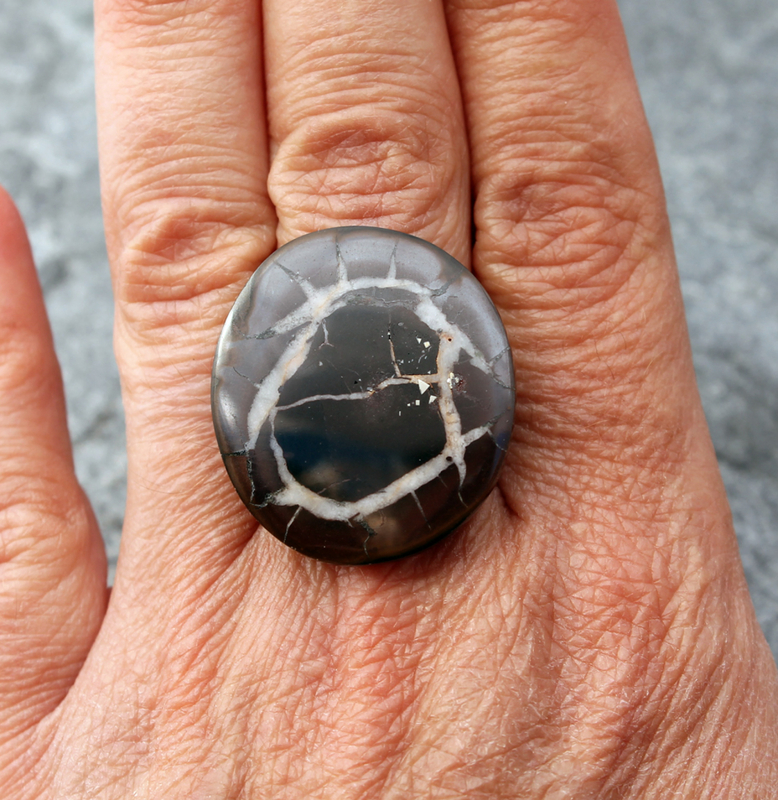 Made to order to your ring size with the unset septarian in the photos. The energy of this stone is sooo calming and grounding, I fell in love with these amazing stones in the Peruvian Andes. 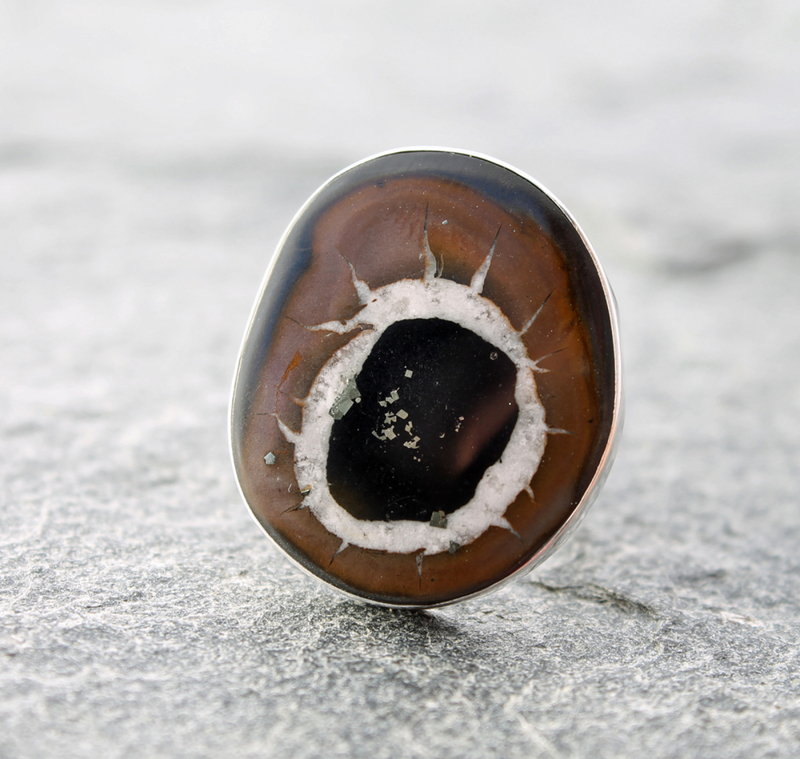 Your one of a kind septarian statement ring will be bezel set with fine silver bezel walls, and a sterling silver base plate and band. The stone is approx. 29mm x 26mm. Please add your ring size to the notes when you check out. 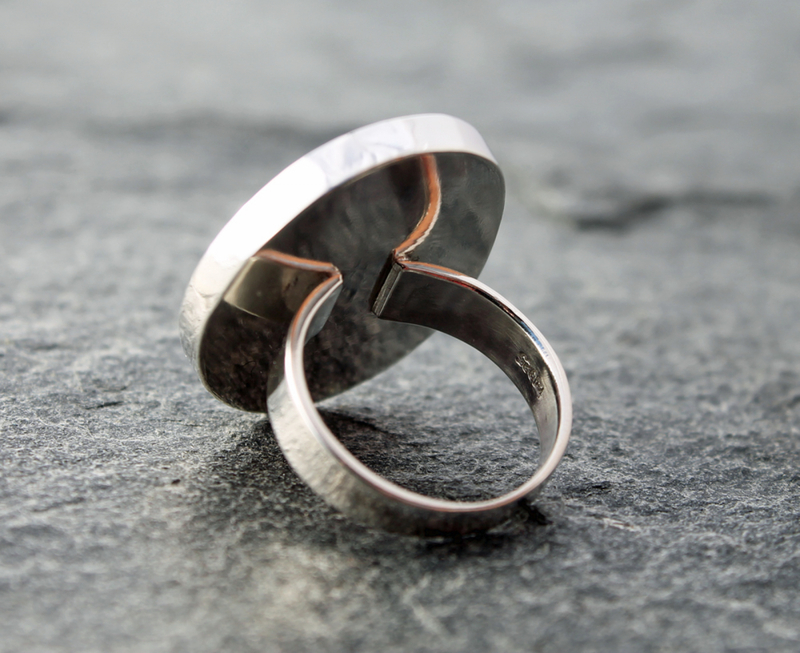 CARING for this ring: Please wear this as a statement ring, not a 24-7 ring. Please do not wear it during rough activities like gardening or when washing the dishes etc. Septarian is mystical, grounding and healing stone thought to invoke calm, well being and health, while opening psychic abilities. It is also thought to help one connect to Pachamama/grandmother earth. Septarian is also a "concretion" or fairy stone, which is considered to be protective. 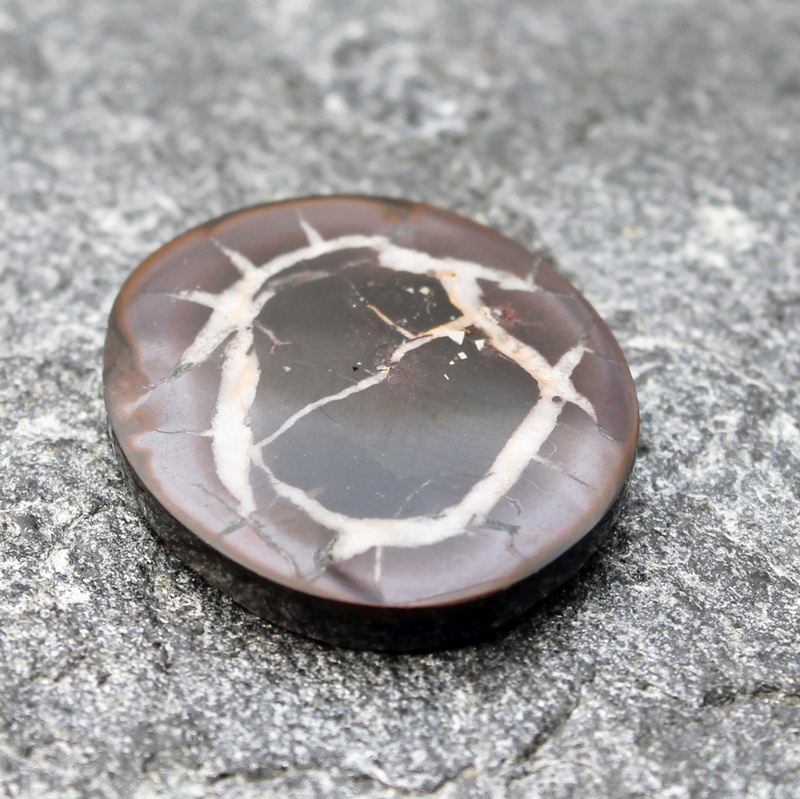 Septarian is a birthstone for Sagittarius.